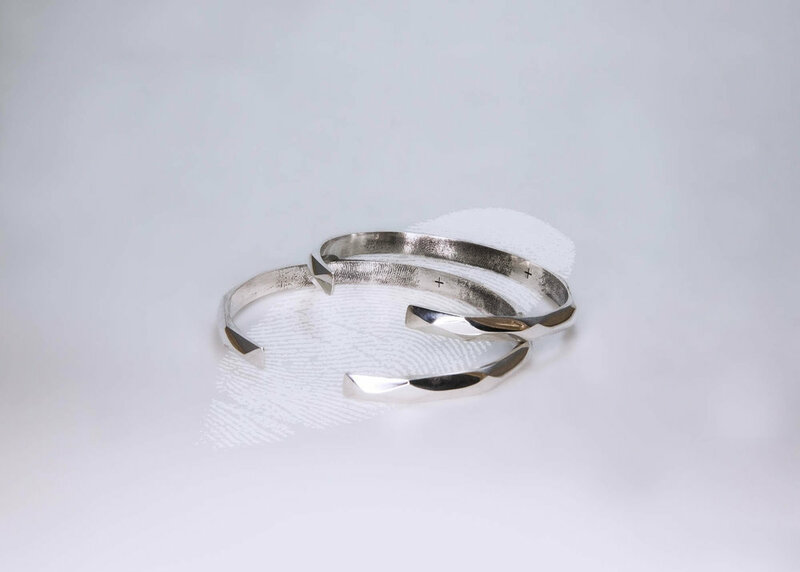 The Facet Band Fingerprint is a subtle fine silver bracelet, engraved with the fingerprints of those you care for. There are people who shape us, become tied to us. These people become a part of us. These people leave their print on our lives, and become a facet of who we are. 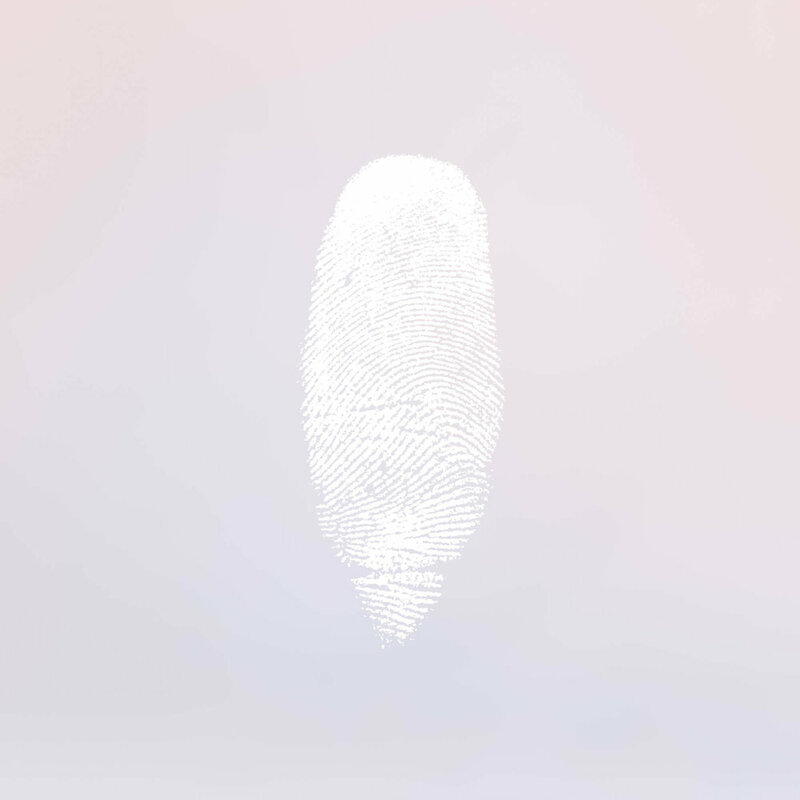 The Facet Band Fingerprint can contain between 1 - 4 fingerprints within the band. You can use it to remember loved ones moving away, friends who have shaped our lives, or our parents, grandparents, mentors, guardians, and siblings. So too lovers, husband, wife, partners. A single print may be used, or two combined. 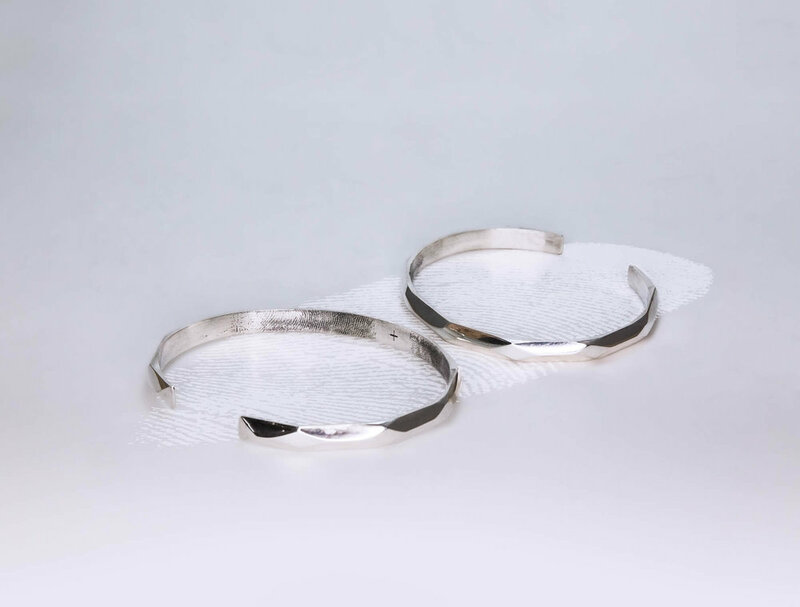 It is part of their print you carry with you, lined along the inside of this fine silver bracelet. On a more poignant level, this is a way to remember those loved ones departing this world. 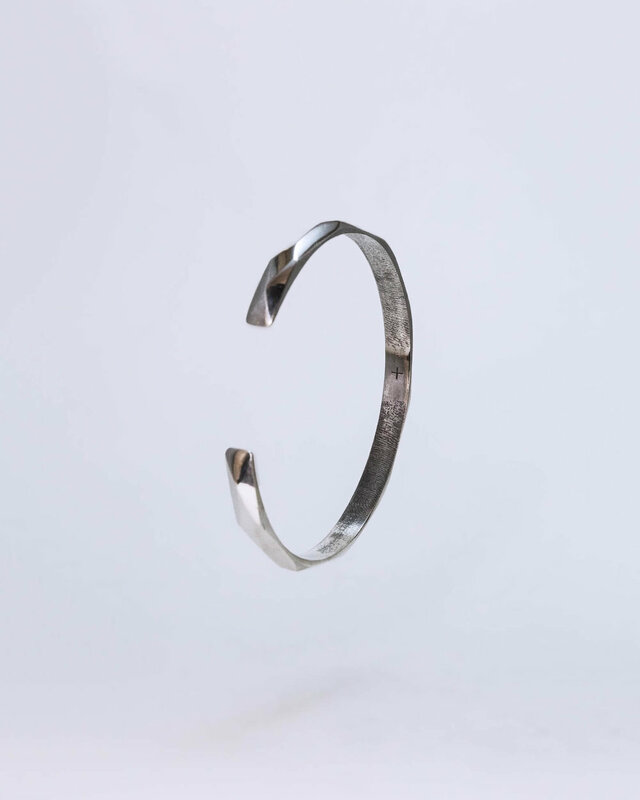 For some, this physical representation of their fingerprint along this bracelet may be a good way to remember those we love but are no longer with us. 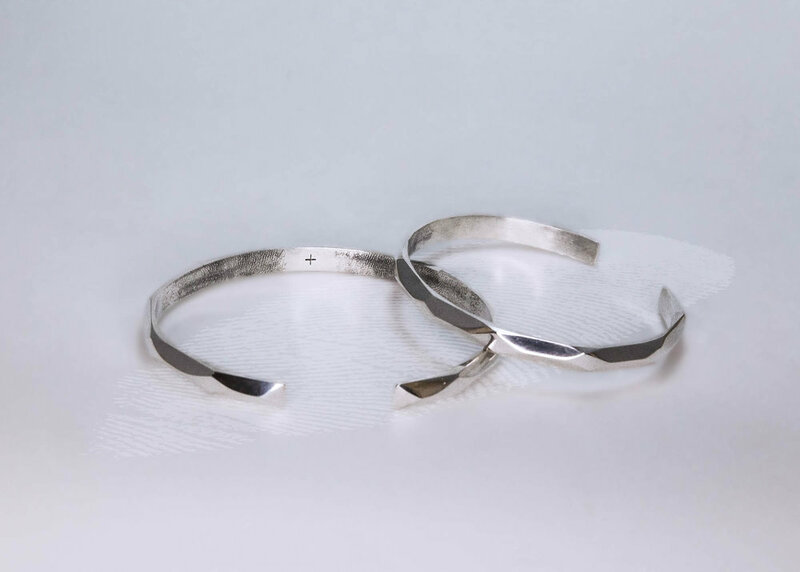 Handmade in fine silver by Brian Kivuti, this bracelet is simple, slim, and sleek. 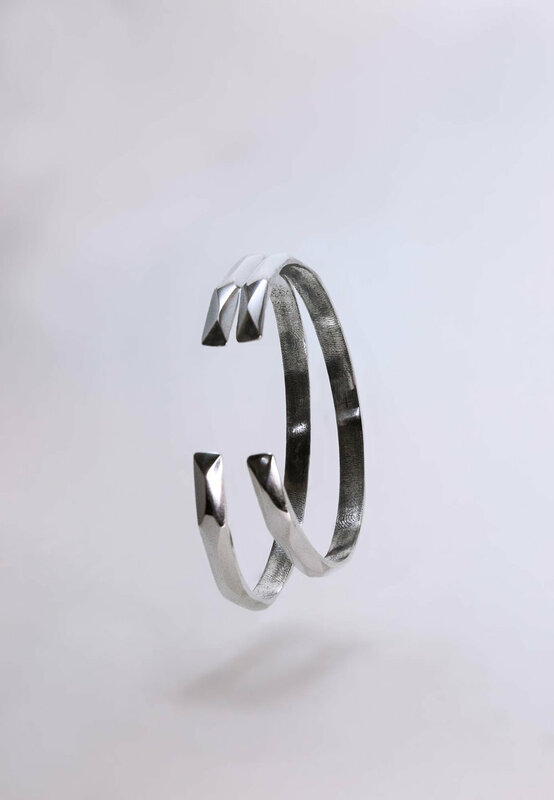 Ideal for continual wear, this bracelet works with casual and formal attire, and can be worn when showering or swimming in both pools and oceans. 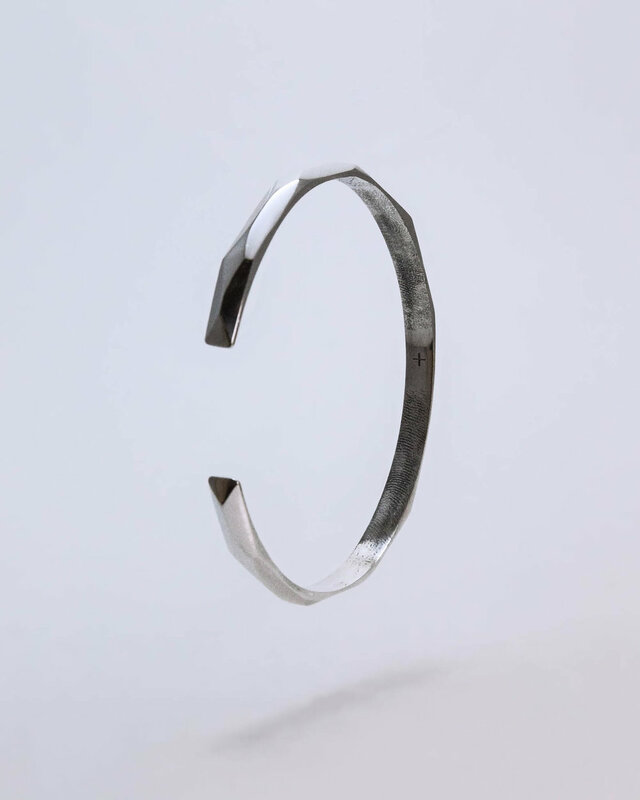 It is especially suitable for those who would prefer not to take it off.